2000 series cuts ACSR, screws, nails and most hardened wire. High-leverage design. 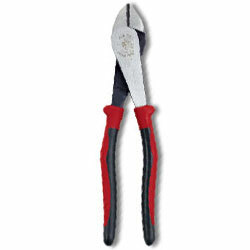 Rivet is closer to the cutting edge for 46% greater cutting and gripping power than other plier designs. Streamlined design with sure-gripping, cross-hatched knurled jaws.